Vidhu Vinod Chopra chooses a sprint chase over bike chase for Farhan Akhtar in Wazir. We have all seen Farhan Akhtar play the flying Sikh in the highly acclaimed film, Bhaag Milkha Bhaag. For the same he had taken training from the man himself, Milkha Singh. He did not know back then, that this would help him in his future project too. The makers of his next film, Wazir, have taken advantage of this and included a chase sequence of Farhan sprinting instead of a more comfortable bike chase. When Vidhu Vinod Chopra and Bejoy Nambiar saw him running, they realised that his run was extremely intense, so they tried the sequence in a rehearsal. They were more than convinced that this is how it needs to be shown. The makers and Farhan himself are quite happy with the sprint chase sequence. The film will showcase Farhan playing an ATS cop for the very first time. Wazir marks the coming together of two power house performers Farhan Akhtar and Amitabh Bachchan for the very first time on the silver screen. 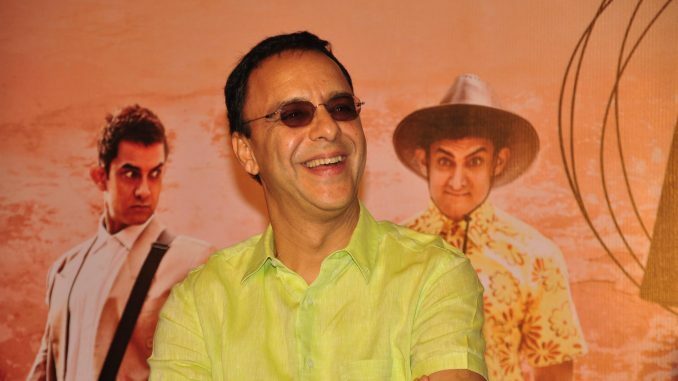 Vidhu Vinod Chopra and Abhijat Joshi have written the film. After the buzz created by the first tease, the second teaser is coming out with Farhan’s next. Produced by Vinod Chopra Films and Rajkumar Hirani Films, Wazir is all set to release this year.